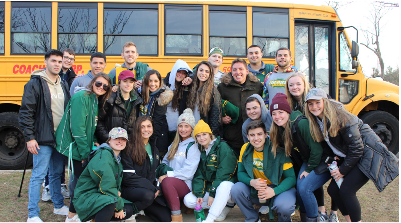 Three fan buses drove students from cam-pus to Adelphi University to cheer on the men’s lacrosse team as they went up against Adelphi Panthers on Wednesday, March 21. The fan buses “provide an opportunity for all students to participate in college athletics, whether it is as an athlete or as a spectator, and to cheer on their student athletes and their team,” Dean of Students Michael Berthel said. At 6 p.m. More than 35 students students gathered outside Hillwood Commons to board the fan buses that would transport them to the game and back. 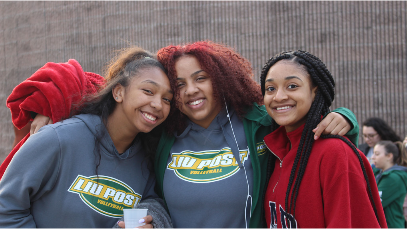 Members of Campus Life offered students free dinner, t-shirts and sweat-shirts to the first 100 students to reserve spots on the buses. Transport services have been provided to post-season and championship games in the past, but because of men’s lacrosse recent success against the defending national champions Merrimack College on March 9, the interest in the team has grown. The game against Adelphi was a perfect opportunity to build on the hype around the men’s lacrosse team, Berthel said, because of the rivalry and competitiveness between the two teams. “It’s always great when the stands are filled and people are cheering you on. I think that helps with the overall success of the team,” he said. 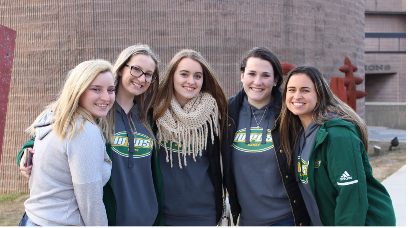 Emily Tirado, a freshman health science major, travelled with the fan buses and think it was a great way for the students to get together and support the men’s lacrosse team. “I really liked it! I think it’s important that we support our sports teams like this. It really makes all of us one big family,” she said.